Damage at the Colorado Department of Transportation could have been worse, a spokesperson says, if the state hadn't implemented a security strategy last year. In 2017, Colorado completed Backup Colorado, a segmentation strategy where critical data is spread out across multiple servers to help prevent an event that could knock out the entire system. This system, according to CDOT spokesperson Brandi Simmons, allowed the state to recover its data. It never considered paying the ransom, according to the report in StateScoop.com. 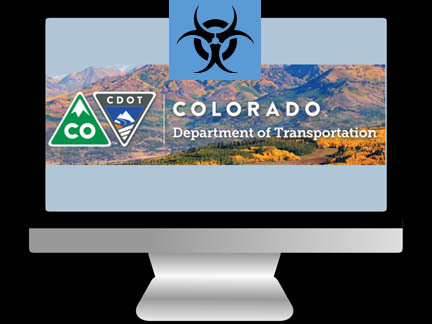 StateScoop.com reports the Colorado Department of Transportation (CDOT) has spent up to $1.5 million to recover from February's ransomware attack by the SamSam virus. It took two weeks for the Colorado Office of Information Technology and outside experts to contain the infection and another two weeks to bring the system back online, Simmons told StateScoop.com. Simmons said between 50 and 150 people have been working on repairing the fallout from ransomware attack at any given time. The $1 million-plus the state has already spent is more than half the $2 million Gov. John Hickenlooper authorized in an executive order after the hack was detected.